A magnitude-6.5 earthquake shook a wide area of southern and central Mexico on Thursday, sending people fleeing into the streets, but causing only minor reported damage. 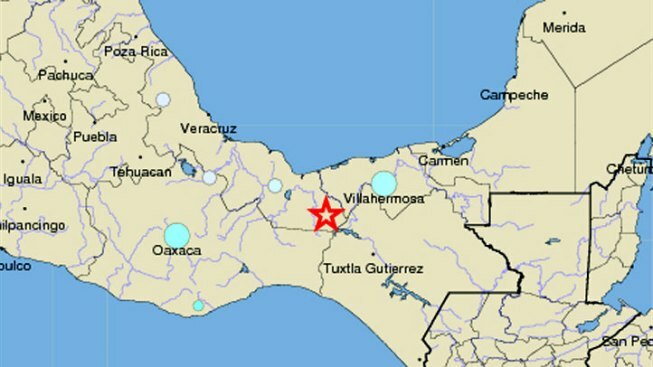 The epicenter was located near Las Choapas, a town of about 83,000 residents about 370 miles southeast of Mexico City. It swayed buildings for several seconds in the capital, and in the Gulf coast state of Veracruz, people ran from their homes and school children assembled on playgrounds. "Veracruz is completely quiet without problems," he told state television. "It was felt all over the state, but nothing major happened. It was only a scare." The U.S. Geological survey said the quake hit at a depth of 104 miles.